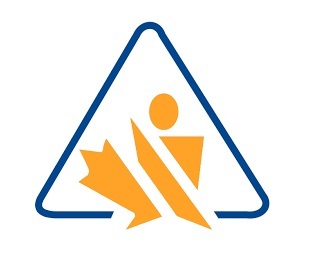 The Health Canada Workplace Hazardous Materials Bureau (WHMB) has announced the 2019 fee adjustment for Claim for Exemptions (Trade Secret Registrations) on Safety Data Sheets and Labels. What is a HMIRA Claim for Exemption? It is is an exemption from having to disclose confidential business information otherwise required by the Hazard Products Act/Regulations on a Safety Data Sheet (SDS) or Label of a hazardous product used in the workplace. What can be exempted from disclosure? Where can a HMIRA Registration be used? On a Safety Data Sheets and/or Label for a specific hazardous product. Where can it not be used for? Anything else. (E.g. Consumer Labels, pesticides, fertilizer, cosmetics). Why do we have HMIRA Claim for Exemptions? The Hazardous Materials Information Review Act & Regulations (HMIRA/HMIRR) provides a mechanism to protect the confidential business information (CBI) of chemical suppliers and employers while ensuring ensure accurate and complete health and safety information is available to workers. Who can file for a HMIRA Claim for Exemptions? 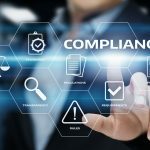 Suppliers can register a Claim for Exemption for Chemical Identity such as chemical name and CAS#, Concentration of a hazardous agreement, Name of a toxicological study. Employers can register a Claim for Exemption for Chemical Identity such as chemical name and CAS#, Concentration of a hazardous agreement, Name of a toxicological study, name of a hazardous product, information that would identify the supplier. Who manages the HMIRA Claim for Exemption Program? The program is managed by Health Canada, Healthy Environments and Consumer Safety Branch, Workplace Hazardous Materials Bureau (WHMB). How much does an HMIRA Claim for Exemption cost? The fees for a HMIRA Claim for Exemption are charged for each product. A product may make a claim for any number of ingredients. On October 30th the Workplace Hazardous Materials Bureau announced a new fee schedule starting April 1st, 2019 with annual adjustments based on Statistics Canada Consumer Price Index. Small businesses are eligible for 50% fee reduction if annual revenues are less than 3 million dollars and have fewer than 100 employees. How long does it take to get a HMIRA Claim for Exemption? A HMIRA registry number will be assigned within 10 business days of submitting a complete application with payment. It will take the Workplace Hazardous Materials Bureau 1-2 years to fully review and finalize the application. When can I start using the HMIRA Registry #? As soon as you receive it. How long does a HMIRA Registration last? A HMIRA registry number expires after 3 years. If the formula changes or new information changes the SDS classification, a new registration must be applied for. A new HMIRA Registry number is assigned with every renewal. What is a Generic Chemical Identity? Terms such as “trade secret”, “proprietary”, “Confidential” “surfactant”, “solvent” are not permitted in place of a chemical identity on a Safety Data Sheet. The Safety Data Sheet must use a Generic Chemical Identity (CGI). The objective is to mask part or all of the chemical name while at the same time retain identity of the general class or structure so that it can still be connected to hazard information disclosed on the Safety Data Sheet. How does the Workplace Hazardous Materials Bureau review the application? 1) Does of the claim to meet Sec. 3(1) of the Hazardous Materials Information review Regualtions (HMIRR)? Is the information is confidential to the claimant? Does the information has actual or potential economic value to the claimant or to the claimant’s competitor and will disclosure of the information result in a material financial loss to the claimant or a material financial gain to the competitor? 2) Reviews the formula and Safety Data Sheet in its entirety. Ingredients are researched in the literature, and a toxicologist constructs a hazard profile. Screening Officer reviews the SDS in context of that research to confirm its compliance with the Hazardous Products Regulations. Issues a Statement of Decision (SOD) whether it is a valid claim as per HMIRR 3(1) and whether SDS is compliant. Need help on how, where and when to submit a Claim for Exemption?